Do you feel passionate about empowering youth for a lifetime? Are you enthusiastic about being a mentor? If you could help not just one youth boost their self-esteem, would you? If so, coaching is perfect for you! The Registration "Coaches" is not currently available. Tackle Football Head Coach Applications will open May 1st and are due by 11:00pm on June 12th. The Application will then close for a few days and reopen for assistant coaches to fill out as needed. Assistant coaches are required fill out an application. Flag Applications will remain open until late August. All Tackle Football Coaches Must complete the Trusted Coaches Training. 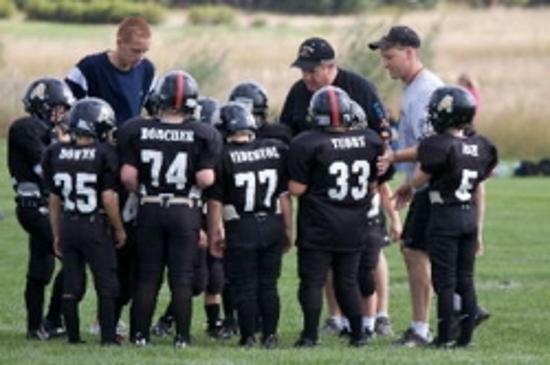 ​All Tackle Football Coaches Must complete the Head Up Football/USA Football training. All 2nd - 6th Grade Coaches - email your scores to pwheeler@onebeacon.com. Include the date, grade, teams and score in your email. All 7th - 8th Grade Coaches - email your scores to nsscores@aol.com. Include the date, grade, teams and score in your email. 2nd – 3rd Grade - Team formation is done by the AFA board and is based on player weight, years of experience, and player/coach requests. The two grades will be separate this year as long as there are enough 2nd grade players to make a team. Coaches are allowed to protect their own kid plus 3 other players (you will need to ask a parent for permission to protect a player). Player/coach requests are accepted at this grade level but are not guaranteed as team balance must be maintained. 4th thru 6th Grade - Coaches are allowed to protect their own kid plus 3 other players (you will need to ask a parent for permission to protect a player). Player/coach requests are not accepted at this level. To complete the team’s coaches will draft the remaining players until they are all selected. All draft orders will be determined by a random draw. The board reserves the right to modify the draft order as needed. 7th – 8th Grade – We will have 7th and 8th grade heavyweight team(s) and 7th and 8th grade lightweight team(s). Lightweight teams could be 7th, 8th or 7th/8th mixed, depending on number of players registered at each grade. Coaches are allowed to protect their own kid plus 3 other players (you will need to ask a parent for permission to protect a player). Player/coach requests are not accepted at this level. To complete the team’s coaches will draft the remaining players until they are all selected. Heavyweight coaches will select all players 130lbs/120lbs and up first. All coaches then select the lightweight players. All draft orders will be determined by a random draw. The board reserves the right to modify the draft order as needed. The board reserves the right to move players as needed at this grade level. 7th Grade Lightweight : No player can weigh over 120lbs. 8th Grade Lightweight and Mixed Teams : No player can weigh over 130lbs. You are no longer required to protect your coaches. You can name your coaches after your team is filled. At all grade levels we reserve the right to modify how teams protect players for the sake of competitive balance. We have had some concern about the palyers practicing in "full pads" with the weather conditions the way they are. Please use this as a guideline for what type of practices to have. Make sure to keep an eye on the weather and its conditions.